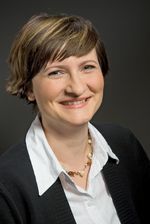 Doris Hanzl-Weiss is Economist at wiiw and country expert for Slovakia. Her research focuses on industrial structural change and sector analysis. She participated in large integrated research projects, including projects within the 6th and 7th Framework Programmes. She graduated in economics at the University of Economics and Business Administration Vienna.